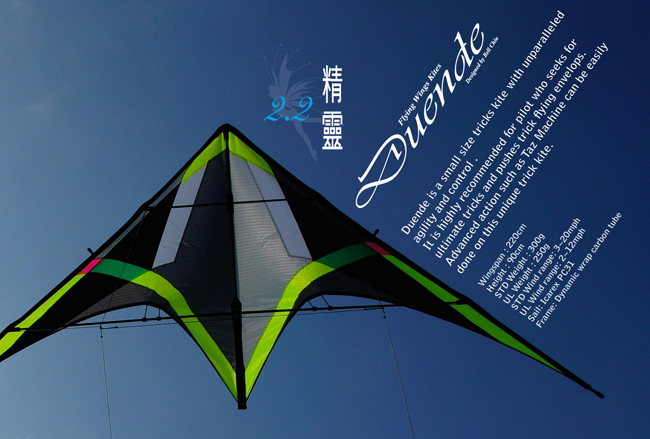 Duende is a small size tricks kite with unparalleled agility and control . It is highly recommended for pilot who seeks for ultimate tricks and pushes trick flying envelops. 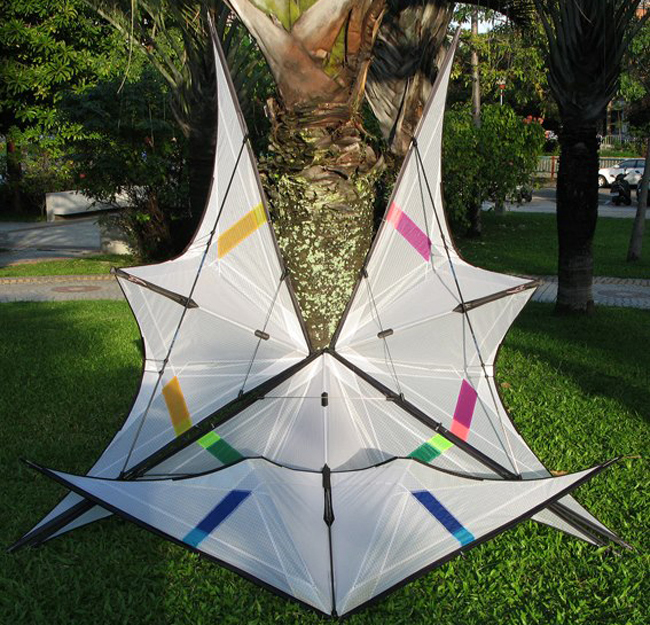 Advanced action such as Taz Machine can be easily done on this unique trick kite.